This class is a hands-on construction class. 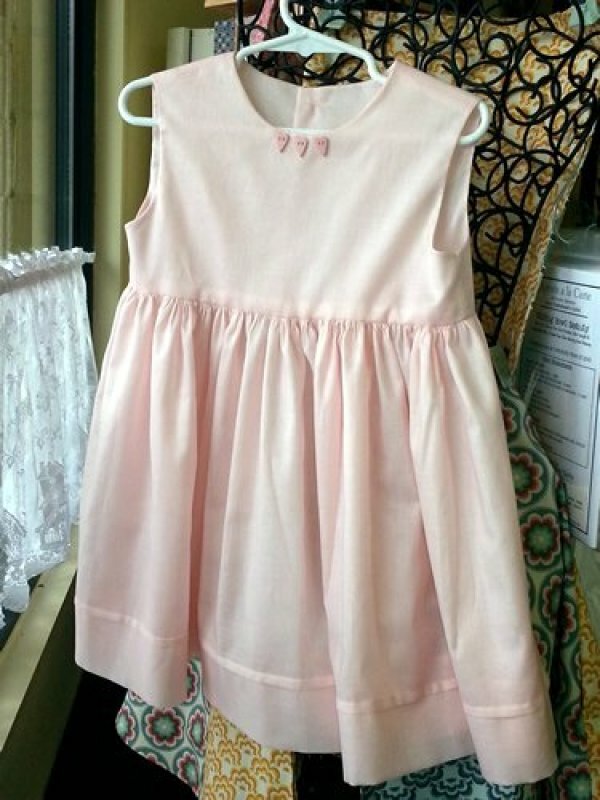 It includes the basic yoke dress pattern and written instructions. This class assumes some construction knowledge and that the student knows how to thread and operate her sewing machine including changing the needle. At the beginning of the class, students (with teacher guidance) will shop for appropriate fabrics and notions that are necessary for this type of sewing. The techniques learned will be simple construction of the dress including a lined, sleeveless yoke, attaching simple placket, gathered skirt, a top stitched hem incorporating a tuck, French seams and pressing. The student will need to have prior knowledge of making buttonholes on her machine. Tips for buttonhole making will be introduced in the class. This is a three hour class.